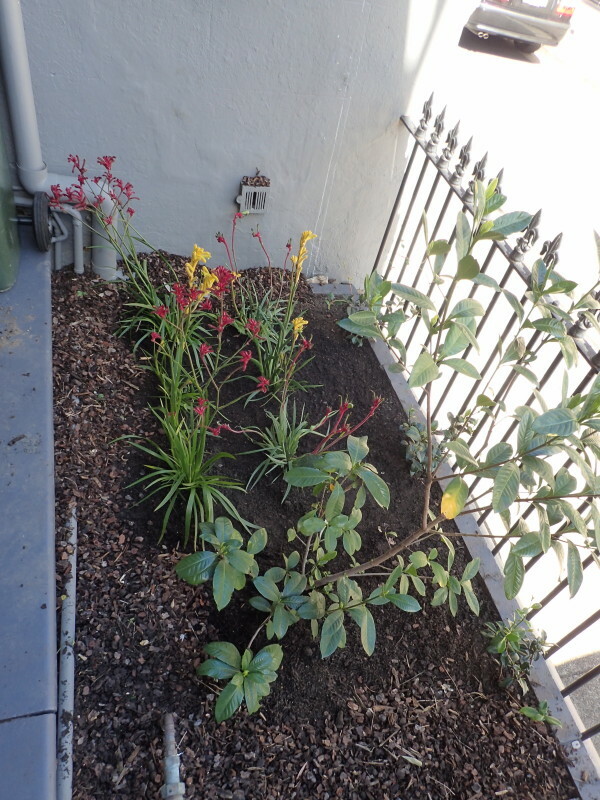 With the house came a tiny garden and a tinier front patch. 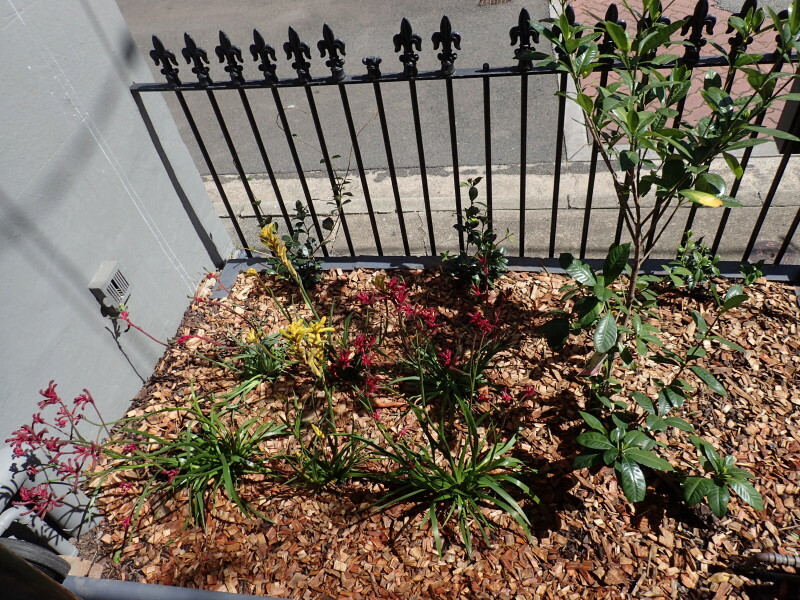 The front patch looked a bit sad and devoid of any Frangipani tree (There seems to be an unwritten rule that every house on the street needs to have one). Going against our inborn desire to follow the rules, we decided instead to go for drought resistance and a few specs of colour. 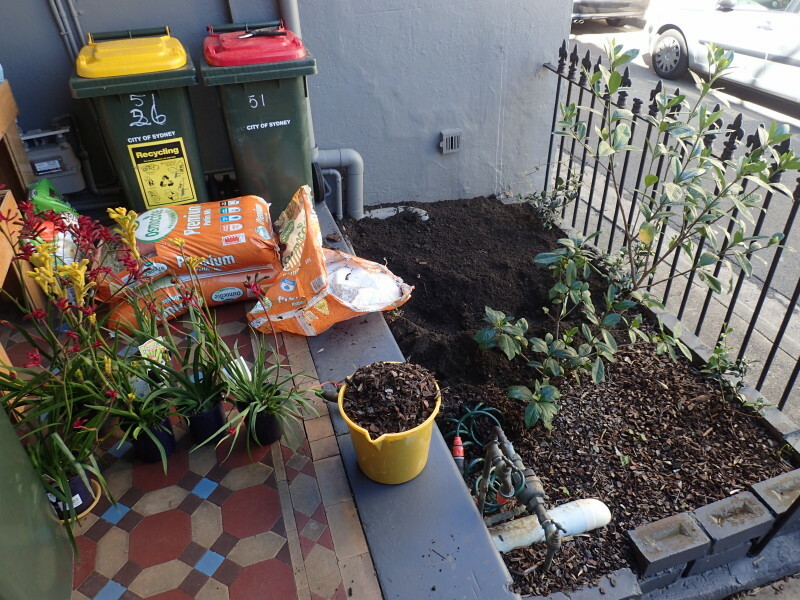 So equipped with a tiny trowel and 150kg of soil Martina went to work on a fine Saturday morning. Covering up the many pipes going everywhere. 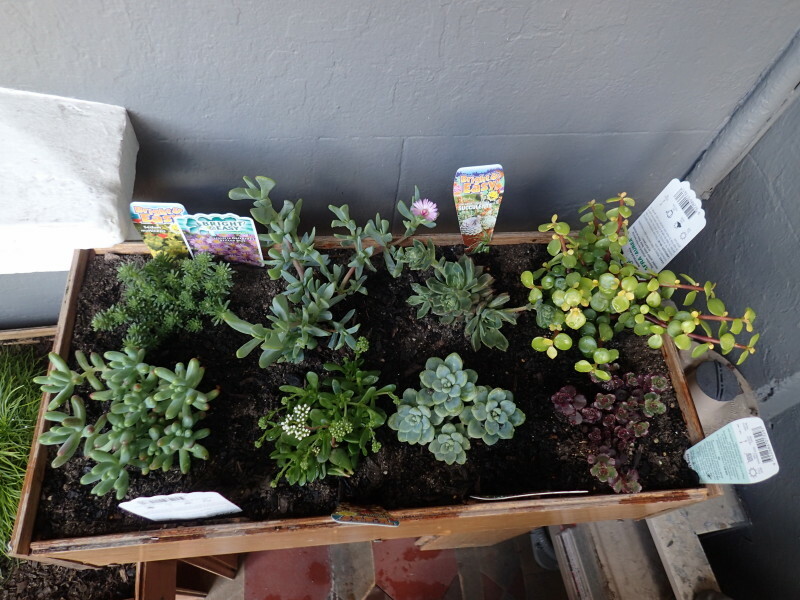 Repurposing the planters Markus had made from leftover bamboo floor boards and filling them with succulents and a kind of grass that can supposedly survive on very little water. We will find out. 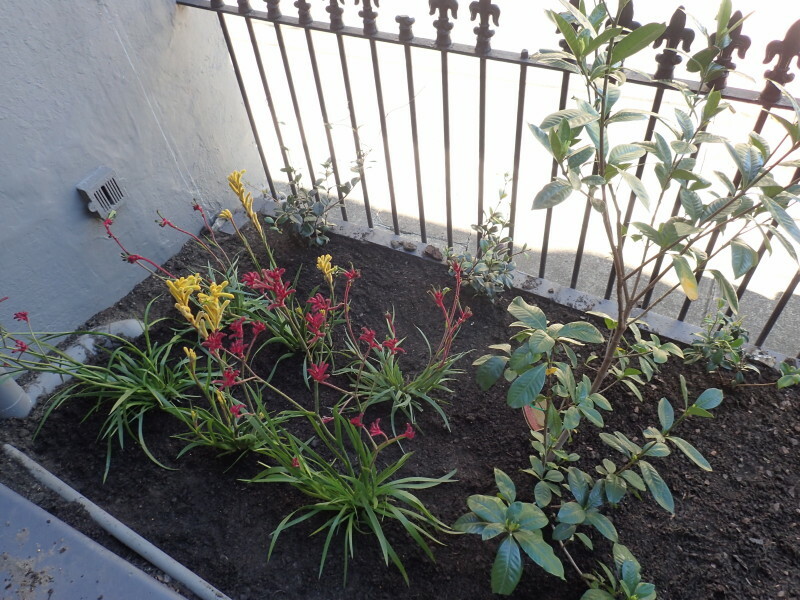 This entry was posted in News and tagged Garden, Homeowner. Bookmark the permalink.